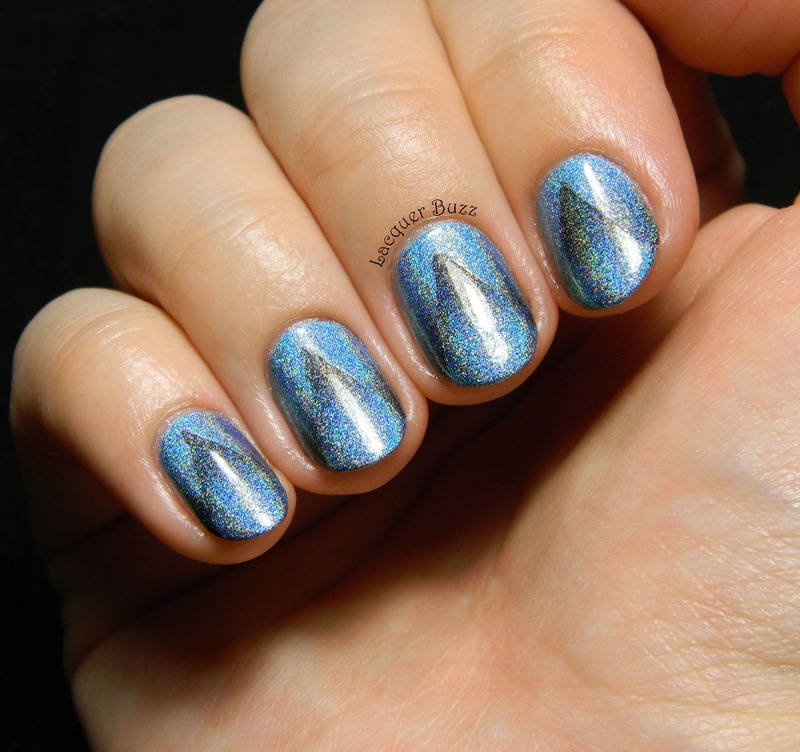 A holographic reciprocal gradient! I've been dreaming about a manicure like this one for ages but I didn't have the patience for the cleanup it requires. I finally got a latex barrier (Simply Peel) so now I can do all the nail art I want without worrying about cleanup. Of course I had to do a cool manicure as soon as I got it and let me tell you, it makes a world of difference! For this gradient I used two of my beloved Color Club Halo Hues. The blue is Over the Moon and the black is Beyond, hence the name of this post. I started with a gradient on the whole nail, then used some tape to mask a triangle in the middle, where I did the same gradient in reverse. 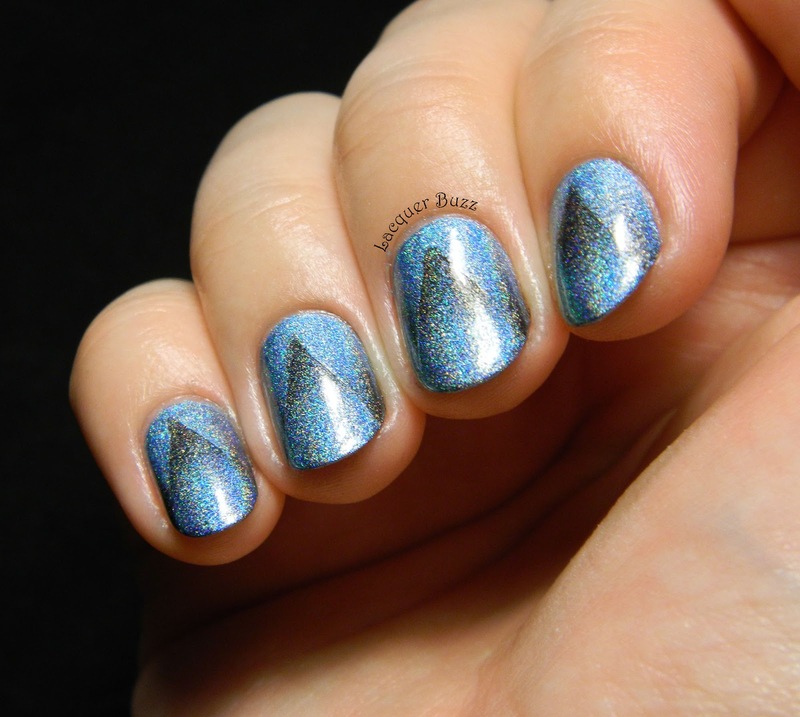 It was quite easy because these two polishes are really opaque and blend well, so you don't have to do a lot of layers. 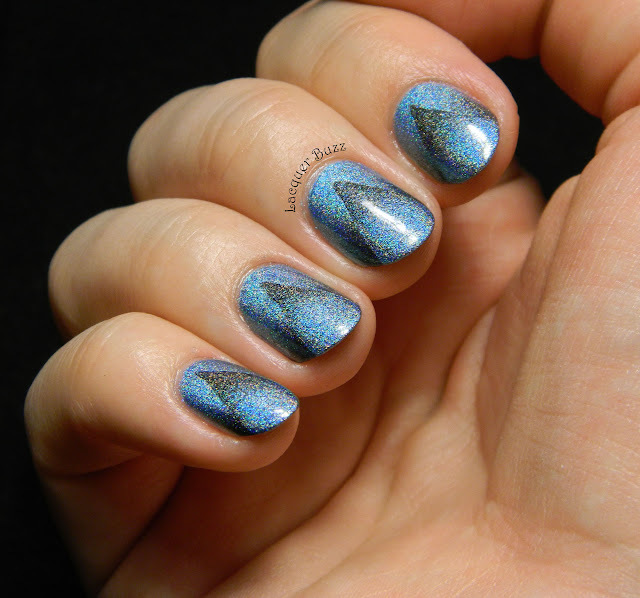 Look at that holo! I can't even tell you how much I love these nails! 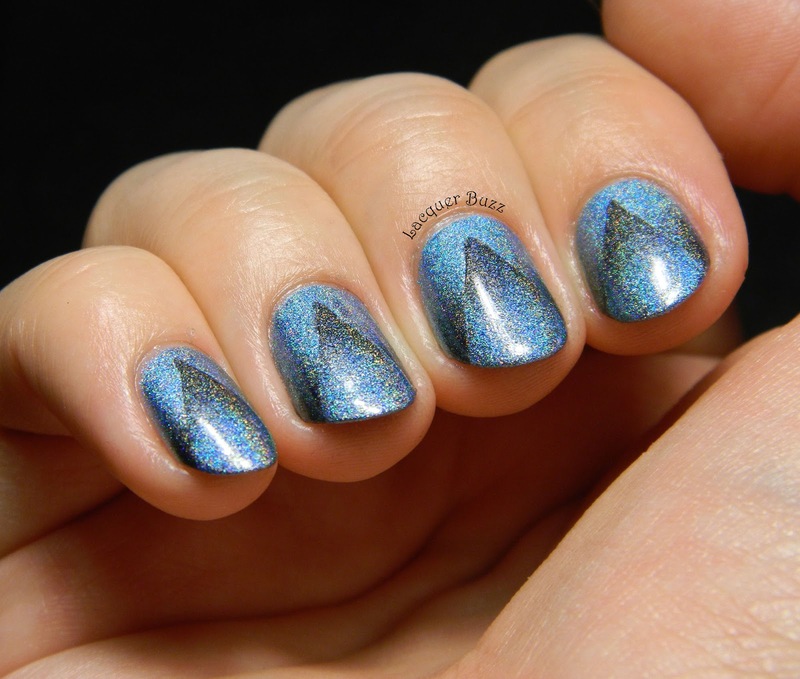 They have blue, holo and multiple gradients. What else can you ask? I really hope you like them too! Make sure you check out the rest of today's Monday Blues in the links below!